When it comes to infant resuscitation, time is as precious as your patients. To achieve positive outcomes, you must rely on technology to help you with split-second preparation, accurate assessment, and rapid response. The advanced technology and innovative design of the Bag & Mask and T-piece integrated resuscitation system helps you work quickly when seconds count. And it is compatible with both our Panda* and Giraffe* Warmers, which makes it truly flexible. With the Integrated Resuscitation System for your Panda and Giraffe warmers, you have everything you need to quickly deliver neonatal resuscitation therapy to your high-risk newborns. 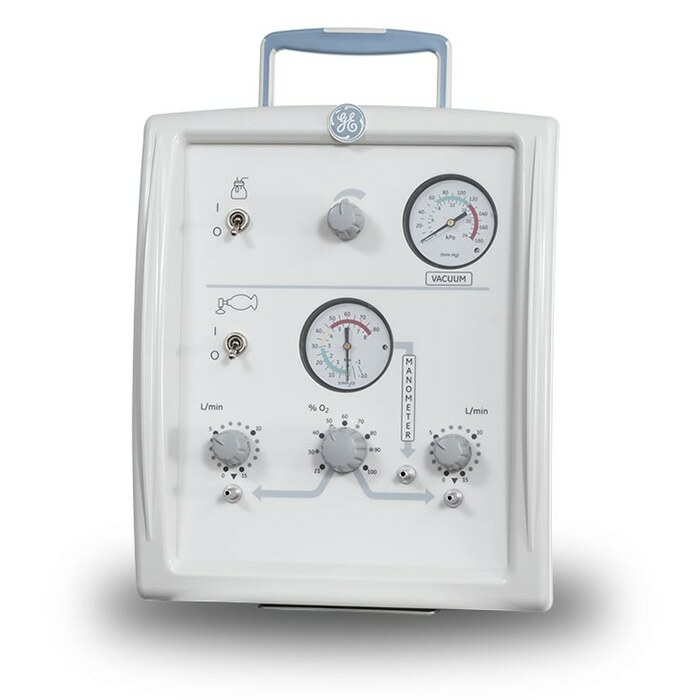 This advanced, all-in-one system offers many integrated features and options for providing effective airway management, gentle ventilation, pulse oximetry and trending, all of which help you meet the demands of both labor & delivery and NICU environments. You can easily change oxygen concentrations within a range from 21% to 100% using the optional O2 blender to support resuscitation therapy practices.